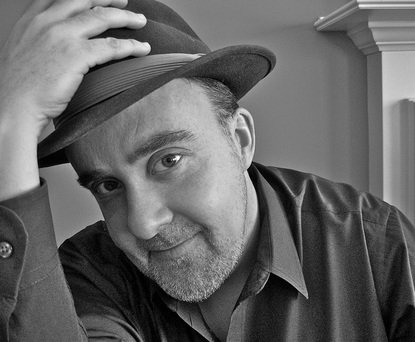 HARRY DOLAN is the author of the mystery/suspense novels BAD THINGS HAPPEN (2009), VERY BAD MEN (2011), and THE LAST DEAD GIRL (2014). He graduated from Colgate University, where he majored in philosophy and studied fiction-writing with the novelist Frederick Busch. A native of Rome, New York, he now lives in Ann Arbor, Michigan. He made my day when he agreed to this interview. Sit back and read about him and his work. I’ll be reviewing his book and will tell you all about it soon. GWN: Harry, you have a natural way of being very descriptive. In “The Last Dead Girl,” you draw the reader in to the point that you can see everything your protagonist, David Malone, sees. We can relate to his attitude and frustration. For a first-time reader of your novels, what do you want us to know about David? Harry: David is something of a loner, wary of other people, but when he does make friends he tends to be very loyal to them. In “The Last Dead Girl,” he’s drawn into a romantic relationship with Jana Fletcher, a young law student, after he meets her while driving one night on a lonely road. David has a knack for being drawn to people in trouble, and Jana fits that description. 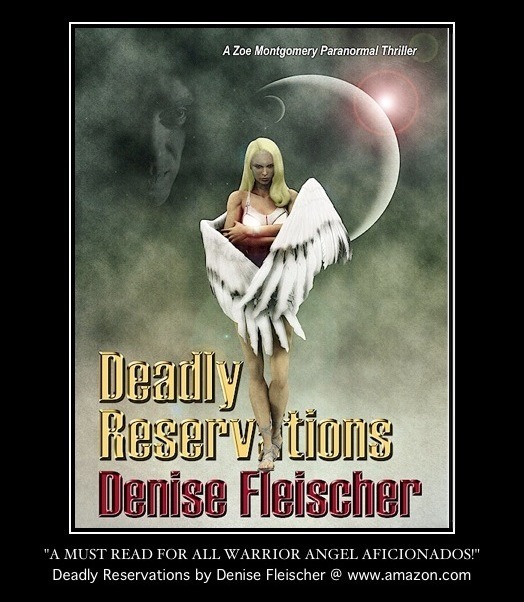 She’s a woman with dark secrets, and after they’ve known each other for only a couple of weeks, David finds her murdered in her apartment. The police consider him a prime suspect. GWN: How does he begin proving he had nothing to do with her murder? Harry: Without giving too much away, I can tell you that it turns out that Jana has been working on an “innocence project,” trying to exonerate people who’ve been imprisoned for crimes they didn’t commit. She’s been focusing on one case in particular, trying to help a school teacher who, she believes, has been wrongly convicted of murdering his wife. David believes that Jana’s death is related to her involvement in this older case, and he sets out to retrace her steps, talking to the various people she’s been in contact with, hoping this will lead him to her killer. In this way, he comes into conflict with Frank Moretti, the homicide detective who’s investigating Jana’s murder. Naturally, Mor etti doesn’t appreciate David’s meddling. GWN: “The Last Dead Girl” is a prequel to your two previous mystery/suspense novels: “Bad Things Happen” and “Very Bad Men.” Tell us a bit about those other novels. Harry: There are many differences between “The Last Dead Girl” and my previous novels, even though they share a protagonist. “The Last Dead Girl” is set in upstate New York in 1998, and David Malone is a young man of twenty-six. The other two novels are set much later, when David is in his late thirties, and they take place in Ann Arbor, Michigan (which is where I’ve been living for the past fifteen years or so). David even has a different name in those two books: he calls himself David Loogan, for reasons that are explained in my first novel, “Bad Things Happen.” That book introduced David as a mysterious figure with a dark past who moves to Ann Arbor and takes a job as an editor of a crime magazine called “Gray Streets.” The plot revolves around a series of murders of people associated with the magazine, with David acting as an amateur detective trying to solve them. There’s also a real detective on the case, Elizabeth Waishkey of the Ann Arbor police, and the relationship between David and Elizabeth is a big part of the story. 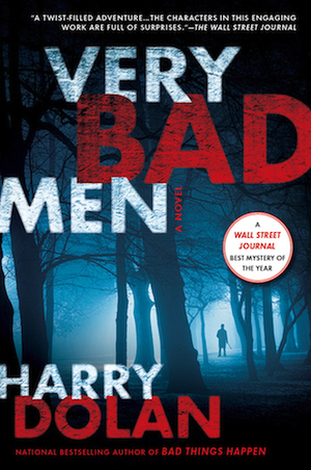 My second novel, “Very Bad Men,” takes these two characters, David and Elizabeth, and puts them on the trail of an eccentric killer named Anthony Lark, a man who’s obsessed with hunting down the perpetrators of a seventeen-year-old bank robbery. GWN: Given that “The Last Dead Girl” takes place long before the events of “Bad Things Happen,” why did you decide to write it as the third book in the series? 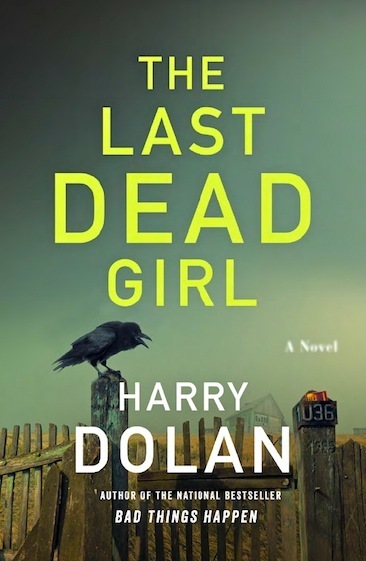 Harry: The idea for “The Last Dead Girl” began with the young law student, Jana Fletcher. Originally, the book was going to be set in the present day, with Jana working as an intern at David’s mystery magazine, “Gray Streets.” In that version, David would have been much older than Jana, and would have been her mentor rather than her lover. But as I thought about the story and began to work out the plot, I realized that it would work better if the main character were romantically involved with Jana: it would simplify things and give him a much stronger motive for finding her killer. That’s when I decided to set this novel in David’s past and make it the story of one of his early relationships. GWN: According to reviews, you have a gift in presenting “ingenious, serpentine plots.” Do you know how the plot is going to unfold, or do you let the characters tell the story? Harry: I find that I need to have at least a rough roadmap before I can start writing. So typically I know at least the major plot twists in advance, and I know how the book is going to end, in the sense that I know who will be revealed as the killer. But beyond that, the characters and their relationships are very important to me, and I tend to learn more about them as the writing goes on. And sometimes a minor character surprises me and takes on a larger role than I expected. An example is Frank Moretti, the homicide detective in “The Last Dead Girl.” I knew when I started that he would play a significant role as a foil to David, but I didn’t realize that the relationship between the two characters—which is sometimes antagonistic and sometimes one of grudging respect—would become a centerpiece of the novel. GWN: Where can we buy your books? GWN: Do you write full time? If not, where would we find you 9-5? Harry: I’m fortunate enough these days to be able to write full-time, though that wasn’t always the case. For many years I supported myself as an editor of academic books and journals. 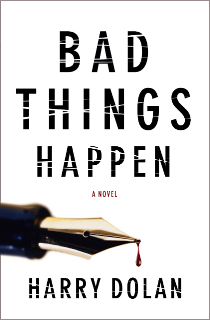 So it’s no coincidence that when I wrote my first novel, “Bad Things Happen,” I made the protagonist an editor. GWN: Who are your favorite authors? What genres do you find yourself drawn to? Harry: When I was younger I read a lot of science fiction and fantasy, but now I tend to read mostly mysteries and thrillers. Some of my favorites are Robert Crais, Lawrence Block, Thomas Harris, Tana French, Dennis Lehane, Karin Slaughter, Gillian Flynn, and Lee Child. GWN: Thanks for the interview. Best of luck to you.